Casino Napoli is a stylish website featuring nearly 400 slot, video poker, and table games. There isn't a live casino or sportsbook, but casino players should appreciate a custom collection from eight software companies like NetEnt, Betsoft, Fugaso, and Playson. There are no deposit fees, a plethora of banking choices customized per location, and a 400% first deposit bonus good for up to €800. There's nothing wrong with the casino games. They're various and fun versions that are attractive choices for many players. It's the other parts of the service that may concern some players like a high minimum cash out of €100, some fees that may be assessed on those payouts, and a less than average customer service department. There's a good section of slots that include some familiar ones as well as more obscure titles. The unique video poker games all presented creatively. Table games aren't extremely plentiful, but they do include the most requested. While we appreciate the presentation of all of the alternatives and fee-free deposits, a minimum €100 withdrawal is just too high, and the site notes that some withdrawal fees may be assessed, something that's also not very appealing. Compared to many competitors, the welcome bonus package is one of the better ones. The 400% is much higher than many and the 20 times rollover is also significantly lower. There aren't many ongoing promotions except for some monthly raffles, but that's not really an issue except for those players who rely on match bonuses to keep their skin in the game. Non-responsive. That's how we describe it. We didn't receive a timely email response and, after we asked our live chat question, the agent seemed to disappear for so long that we eventually called it a day. The number of games that appear in the mobile version is more than satisfactory, and the site design transfers well to the smaller screen. However, some pertinent informational sections don't show up on tablets or smartphone, thereby creating the need to still use the full site for some things. Is it the Alpha Casino? Alpha Interactive Solutions is the owner and operator of this site as well as Magik Slots and Gale & Martin that have a very similar design and flavor. 6 Black and Slots Zoo, the other two sister sites are a bit more creative in their theme and presentation. Licensing is through Curacao eGaming, and this is not a strictly Betsoft casino as eight companies combine to offer a large variety of slot titles. as being restricted from registering or using the site. The UK is not mentioned, and there are banking options posted, but we don't see any UK Remote Gambling Licence in place. We always give high praise when an online casino provides an upfront list of banking methods including all of the details that potential customers would need to make sure they can be accommodated. This site goes above and beyond to provide different menus that are customized for each country, and each one is extensive and diverse to accommodate the particular needs of its international player base. The name is enticing and sounds upscale, and the website is equally as impressive. What's missing, though, is a tie-in to the Italian theme. There could be some amazing graphics and language used to bring it all together, but it's lacking. We're not sure why they would clutter up the homepage slider with cartoonish characters when there could be beautiful and enticing custom graphics that fit in with the premise instead. There is a mobile casino, and it does feature around 200 games for smartphone or tablet access. But, it's missing a few things that players who only use their mobile devices would need like the terms and conditions and outline of the promotional programs. It's a basic set-up with slots in one area, table games in another, and then the sign-up button to get rolling. More of the pertinent information would be useful as not everyone would want to register using the full website. We're not typically that complimentary about deposit match bonuses, especially when they're given as a welcome "gift." The rollover requirements that so many casinos impose take away from the whole award concept. They can create animosity by players who didn't comply with the wagering requirements or don't understand how these programs work, not to mention the ones that had a good amount banked in their player account that was then depleted by having to play it through so many times. In this case, however, it's not too bad. First of all, the initial part of the welcome bonus is a 400% match up to €800. There is a rollover that needs to be met, and it does apply to both the deposit and the awarded free play cash, but it's set at 20 times. It still isn't an ideal scenario but, when you compare it to many competitors that have 35 times in place or even 50 to 60 percent, and this one becomes much more welcoming. This larger bonus is just the first part of a three part reward package for new members of Napoli and, as we mentioned, it does come with a 20 times rollover. But, if you live in Greece, Lebanon, or the UK, that amount doubles to 40 times play through before anything can be cashed out. Additionally, this and all of the match bonus programs specifically require slot play to comply with the wagering mandate. The second new player bonus offers a smaller percentage, but larger allowable reward. The rollover is the same, and all of these types of awards do require at least a €20 minimum deposit to participate. New players receive a third part to their welcome page. The Sunday bonuses provide a 100% deposit match for up to €300 every week for the first four weeks. The rollover remains at 20 times. We do like it when a casino offers something a bit different for their players. The deposit match system can get old quickly. The monthly raffles are a good way to shake things up and add some additional excitement for loyal players, but they do require a deposit. One €25 deposit equates to one ticket, and then the winner is drawn at random from all participants. Some months the prizes are pretty impressive like a MacBook Pro or €1,500. Others have featured €50, €150 or €500 in cash. It'd be good to see something outside of the deposit realm, though. Like a slot tournament where everyone can participate or something that involves the actual casino play instead of the cashier. As this one is listed separately, we thought it would be something additional for players on the go but, when you click on the link, you get the standard welcome bonus that's offered on the main site. The loyalty club is the garden variety where players earn one point for every €10 wagered and can move up the ranks to bigger and better benefits. Special promotions, prizes, and faster withdrawals all accompany the more significant game play. Consider this, you're brand new to the online world of gambling, and you live in Sweden or France or Ireland, and you concerned about how you'll get some of your own money into a player's account with an internet casino? Depending on the site you choose, you'll either feel well informed or even more confused. For some reason, certain casino owners feel like this is top secret information only to be shared with fully registered players. Not so in the case of Napoli. There is a prominent banking link in the top menu and selecting your geographic location opens up a customized menu of financial options that should cater to your particular needs. Every location has a special deposit and withdrawal menu, so you'll not only learn how to get money into your new player account, but how to cash out those big winnings you're planning to receive. The only odd thing we noticed was that there's a Bitcoin logo on the homepage of the site, but Bitcoin didn't appear in the menu when we searched the banking options for customers from Canada, Sweden, and the UK. All deposits are fee-free. We know, you're thinking "Of course they're fee free, they're deposits." Well, tell that to many other sites that can charge a relatively substantial amount just for funding your player account, so it is a benefit, and it should be noted that there is a zero-charge deposit policy here. Bank transfers will not provide you with immediate access to your funds, though. It could take up to five days for processing. Again, it will depend on your location, but there are a few standard guidelines for cash outs like the internal approvals can take up to five days before the clock even starts on your turnaround time. So, if you requested a bank transfer and that takes five days, you're looking at ten business days total. Fees are going to vary depending on where you live, how much you're requesting as a payout and the method that you're using. Whenever a site utilizes more than one software provider, it ups the variety and the quality of the service. Players want to have as many choices as possible, so we like the combination of different companies as they have various types of slot games. The MicroBet versions even provide more conservative bettors with lots of fun options with lower than usual denominations. The card and table area suffices with variations of Blackjack, Poker, Baccarat, and Roulette. Video poker is exciting in that it has a few really obscure games in the mix. Overall the quality is good. It starts out with a top-notch website and carries through to some creative game presentations. We opened up Alien Poker and were treated to a spinning space ship in the background of a crystal clear game board that's easy to interact with and fun to use. 206 games is a decent amount for a relatively smaller casino. The mobile casino doesn't have as much attention to detail, though. A lot of information is missing, and the games aren't divided out into different easy to review categories. Instead, you get your choice of slots or table games, and you have to scroll through to find something you like. You can't narrow things down by micro bet games or action-oriented like the full website does. When you're in the casino, you'll see that you can pull up a main video slots section and then classic slots that fork out into three and five reel versions. However, the games also divide out by some fun categories to search through like Micro Games and VIP versions. If you're familiar with some of the bigger software providers like NetEnt and Betsoft, you'll be able to notice that there are also some more boutique type companies that play a role in comprising this custom casino. Booongo has a small portfolio but builds in HTML5 and seems to be adding new titles quite consistently. This site offers two of its newer creations in Fruiterra Fortune and Diego Fortune. There isn't a dedicated Progressive Jackpot section, but we did note that The Ghouls is a jackpot game as well as Dark Harbour Jackpot that carries a currently posted top payout of €3.2 million. There are select titles that offer a lower denominational range than the traditional version of the same games. You'll note that the section includes more than just slot games. VIP games usually have a more luxurious feel to them. The colors may be richer, and the themes are elevated to include "rich and famous" premises. The denominations may also be higher than your typical games. We know there are only eight games, but we like the attempt at making this a special section. Deuces on the Rocks, Alien Poker, they kick things up a notch in the creativity department. The title is a bit misleading as we were expecting some virtual games or those that offered a high level of excitement, but it's a rather odd collection of four different versions. Whereas Video Poker adds a measure of fun, the card and table game area is rather typical of most online casinos with enough variety to appeal to dedicated players, but it doesn't offer anything new and innovative. It's always tough to put any label on customer service as it depends on the particular agent and the situation at hand. However, in our personal experience, customer service is underwhelming. We sent an email in that went unanswered, and we started a chat with one agent who just seemed to disappear and not return on a timely basis, so we're not impressive the level of assistance provided by this casino. We're going to summarize the elements of the Casino Napoli site that we observed and reviewed in just a bit, but we do need to mention that there have been some issues with this ownership group being involved in a few reported slow pays and no pays. Some are unwarranted as they are based on bonus stipulation confusion, but there are enough consistent comments to at least put up a red flag and encourage players to be cautious. Non-response by the customer service department raised our concern but, again, nothing is entirely clear cut. It could have been a busy time for the casino or our email lost in the shuffle so that we will give them the benefit of the doubt, but it bears noting. The other item of note involves the lack of a UK remote gambling license but allowing for UK players to join. The United Kingdom has strict guidelines regarding online wagering. It is allowable but only through licensed and regulated sites and, from all accounts, this casino does not have the proper UK registration to offer services to its residents. On the flip side, there have been some positive player comments made about this casino and its services, and we were impressed by the website as a whole. It is a near identical version of some of its sister sites but, regardless, it's a well-presented product. The colors and design elements are upscale, the banking and promotions are detailed well, and the games offer some great slot and video poker alternatives. 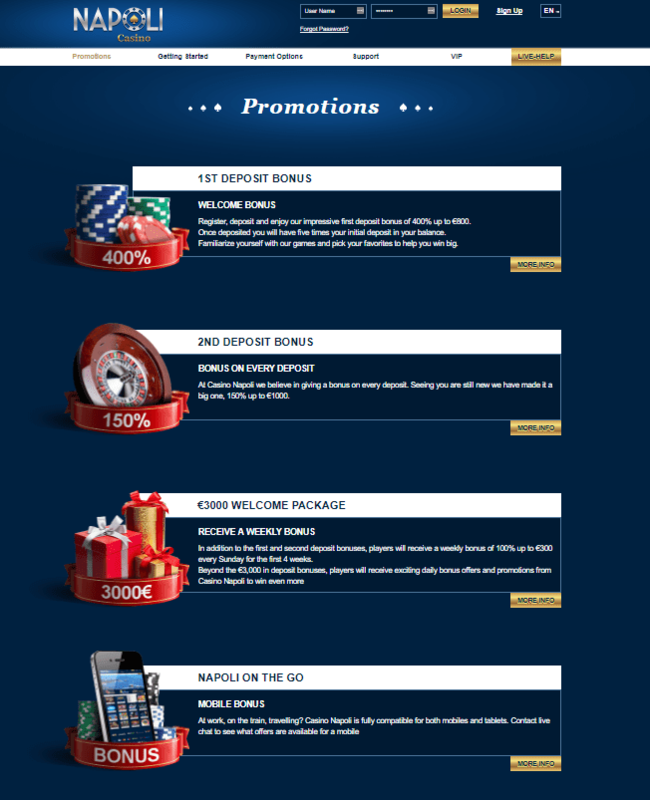 A little boost in the promotional arena might be welcomed by some players who particularly enjoy a more interactive online experience; maybe some interactive value-add games or other fun promotions that can potentially increase the betting account balance would be helpful. The 20 times play through is relatively appealing though. While we'd always opt for no rollover or at least one on the bonus amount only, 20 times is much lower than many competitors, and that's a good thing. Banking is certainly plentiful, and it's all presented well so that even the newest of players can figure things out. A €100 minimum withdrawal amount is steep, though, and "some fees" that can be assessed to withdrawals also detract from a good financial program. There is one other thing that we do really appreciate about this site, and it's the "Getting Started" page. We've mentioned those first-time online bettors a few times, and this page would be beneficial for them. It describes the Fun Mode vs., Play for Cash and shows what the entire registration form looks like as well as the cashier payment request. We like how it provides complete full disclosure for potential players who are considering moving forward and creating an account. The game collection is unique, and the welcome bonus is appealing for anyone who enjoys these types of offers, as it's a 400% match. There are certainly enough banking options to meet everyone's needs regardless of their location. The €100 minimum withdrawal is high compared to many other sites, and withdrawal fees are said to be imposed but aren't revealed. The website itself is well-designed and has an elegant feel to it, but players need to be careful about complying with rollover requirements and shouldn't be in a hurry to receive a payout as it takes up to five days just for the initial approval. I don't see some of the games you've mentioned. Am I in the wrong place on the site? No. You most likely see an abbreviated game collection due to your geographic location. Certain games like NetEnt branded slots are restricted in different countries so that the slot banks will vary accordingly. Can I access the site in my preferred language? Casino Napoli offers ten different translations so you can quickly switch by clicking the language preference box at the top right of the homepage. You can select from English, Polish, German, Spanish, French, Italian, Norwegian, Dutch, Swedish, and Finnish. Is the entire website available on my smartphone? There is a mobile version of this casino, but the site in its entirety is not available on smartphones or tablets. We noted that the terms and conditions, as well as some other pertinent information, is only posted on the full PC or Mac version. You can, however, access over 200 games and take advantage of the welcome bonus package by signing up using either the mobile version or regular website.